On March 18th, Kaiser Health News (KHN) and Fortune published https://khn.org/news/death-by-a-thousand-clicks/, a deep expose into all that has gone wrong with the adoption of Electronic Health Records (EHR) across the physician landscape in the U.S. The article was well researched – it is a good piece of journalism. But are the findings in this article all that surprising? Prior to the signing of the HITECH Act in 2007, which incentivized physicians to adopt EHRs, EHR adoption nationwide stood at a paltry 12-14% for hospitals and about half that for physician practices. Within a decade, however, EHR adoption soared to over 95% for hospitals. That is a massive uptake of a technology that most healthcare organizations were loathed to adopt in the first place. What could go wrong? Plenty. As the KHN article points out, we are still working our way through the muck of what became a false market created by the HITECH Act for EHR software adoption and use. The market became flooded overnight with EHR solutions. Despite the government’s best efforts to certify that these solutions met certain criteria – a lot of questionable software ended up in the market. Yet, even some of the most popular, widely adopted EHR software deployed across the industry is not meeting the needs of end users. 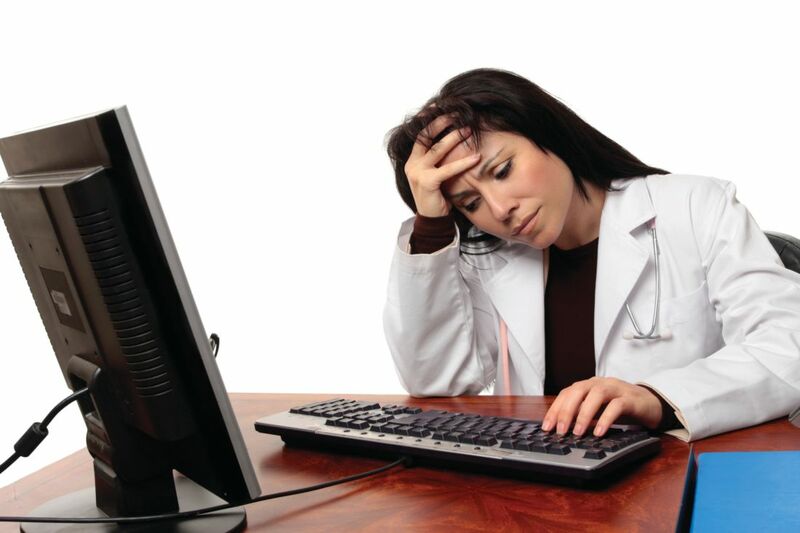 In two separate conversations I have had with physicians on my care team, one likened the EHR his large academic medical center is using to just a glorified billing system that does nothing for him in actually caring for his patients. The second physician turned to me after painfully clicking over and over again to make an appointment stated: “If anything is going to make me lose my love of medicine, it is this EHR software.” And note, this was a freshly installed EHR replacing this health system’s internally developed EHR. Deploying a complex enterprise software solution, be it EHR, supply chain, enterprise resource planning (ERP), etc. is an extremely challenging endeavor regardless of industry sector. I watched first-hand as some of the largest manufacturers in the world did massive rollouts of SAP, Oracle and other systems and it was never, ever easy. Cost overruns, delays and extremely dissatisfied end users were par for the course. And this was an industry sector that willingly made the choice to invest and adopt such systems. What tends to get lost in these discussions is that what we are doing today is laying the foundation for an entirely new change in how we will deliver care, change that will occur along the entire care delivery chain. However, what tends to get lost in these discussions is that what we are doing today is laying the foundation for an entirely new, dare I say radical, change in how we will deliver care, change that will occur along the entire care delivery chain. The field of medicine has never had such vast troves of computational medical data available to it as we are beginning to see today. The potential opportunity to do deep analysis on such data will open completely new discoveries on everything from the efficacy of therapeutics and clinical pathways, to advances in artificial intelligence for more accurate diagnosis, to discovering new treatment modalities to other advances that are only limited by one’s imagination. One need only look at some of the work Dr. Atul Butte is doing at UCSF to have an appreciation for what we are beginning to unravel today and what the future may hold. This deeper, broader view of what the adoption and use of EHRs and other enterprise software to support the delivery of care – including new analytics solutions such as those profiled in our recent report – is truly the prize, as a society we are after. Let’s keep our eye on the prize. Much consternation has been expressed over the years regarding massive enterprise software roll-outs. There are numerous examples in virtually any industry sector one cares to look at. Years ago, when I was working as an analyst in the manufacturing vertical, the stories were legendary of ERP deployments gone awry and countless examples of cost overruns. In fact, it was nearly impossible to find an enterprise deployment that stayed within budget. Is it any surprise then that the healthcare sector has suffered its own share of enterprise software (EHR) woes? Hardly not. But that is not to say let’s pull up the stakes and forget about digitizing health and revert back to clipboards and row upon row of filing cabinets – we are far beyond that now. The healthcare sector will become, like countless others, digitally-driven. The challenge for the senior leadership at healthcare organizations (HCOs) is to derive value from these deployments, value that requires investment well-beyond the install of that bright and shiny new EHR. Unfortunately, for many HCOs, insufficient forethought was given to what they hoped to accomplish, what value they hoped to derive (beyond MU compliance) in adopting that new EHR. I have yet to see an enterprise-wide deployment go well, or meet objectives if the organization did not adequately prepare at all levels. The most overlooked aspect is sufficient attention to workflow design and training end users to facilitate adoption and efficient use of a new system. But there is value in these systems if done right and with the accelerated migration to value-based care (VBC) and associated reimbursement, this will only increase. More recently when I was in Colorado for the World Cup Finals, I met a geriatric physician on the lift up the mountain. Our conversation quickly turned to healthcare, the massive transformation that is ongoing and how he, as a physician, was coping with it all. Being in his mid-forties he’s seen quite a bit of change in his career. What I was most struck by though was his enthusiasm for being a physician – he truly loves what he does and secondly, his enthusiasm for his EHR. As a geriatric physician, virtually all of his reimbursement comes from CMS, which has placed an increasing emphasis on quality reporting. His organization takes part in CMS’s MSSP (Medicare Shared Savings Program). 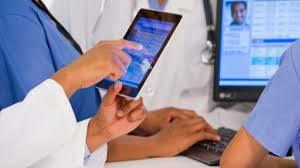 The physician has a scribe that does all the EHR data entry for him while he interacts with the patient. The EHR tracks and reports the various quality metrics CMS is looking for and his organization has been getting quality bonuses ever since, more than paying for the scribe, and he finds he has more time for his patients. 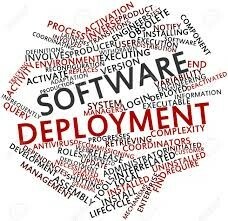 Adopting a new enterprise software system is not for the feint-of-heart, but if done with sufficient forethought and a clear understanding that the investment doesn’t stop upon deployment, but much like raising a child requires a long-term investment, the benefits are very real and sustainable. You cannot over-invest in end user training. Involve end users early and often to ensure workflow is reflective of best practices. Leverage enterprise-wide capabilities to drive out variance to improve quality and cost structure. Scribes can, if effectively used, go a long way to improve clinician satisfaction, which will likely also improve patient satisfaction. The healthcare IT market is not much different than other software markets. 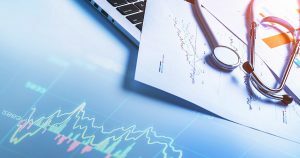 It has its own particular nuances such as regulatory oversight and a recent, massive infusion of federal funds to drive adoption of EHRs. Beyond that, however, the basic mechanics of how this market will evolve in the next five years will reflect what has occurred in other software markets, particularly the enterprise ERP market. Cerner Acquires Siemens: What can we Expect? On August 5, Cerner announced its intent to acquire Siemens Health Services (HS) for $1.3B in cash, slightly more than Siemens HS’s FY14 revenue of $1.2B. The deal brings to Cerner a large, relatively stable base of 600-700 hospital customers in the US for upsell opportunities. The acquisition also provides Cerner with a head start in many international markets – an area that will become increasingly important for US-based EHR vendors as the US acute care market is reaching maturity. This is a risky move by Cerner, a company not known for making large acquisitions and large IT-centric acquisitions in any vertical are fraught with risk. But if they are successful in migrating Siemens clients, overtime, to Cerner solutions, as well as capitalizing on near-term upselling of Siemens’ clients on Cerner’s more EHR agnostic solutions, e.g. HealtheIntent, Cerner will have made a very savvy move in this market that is poised for significant consolidation.